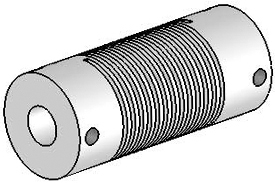 The HELICAL Flexure is an advanced and unique u-joint solution that generally exceeds the capabilities of common u-joint designs. A Helical u-joint is really a Flexure capable of over 5° angular misalignment. It may accommodate up to 90° of angular misalignment in certain circumstances. The Helical Flexured U-Joint, Aluminum will also compensate for axial and parallel misalignment. Replacement with a maintenance free Helical Flexure u-joint can save money, both on initial purchase price and on maintenance costs. Hubs and HELI-CAL FLEXURE are made from a single piece of material. Helical Flexured U-Joint, Aluminums feature no backlash and no lubrication is required. Helical has over 50 years of experience designing and producing Flexures for use in products ranging from encoders to spacecraft. Helical's many products are cost-effective and versatile. Working torque ratings are based upon continuous duty with noted misalignments applied separately and may be increased with improved alignment. Shock or Reversing: 4.9 lb/in. The Helical UJA100-45-12-12 Flexured U-Joint, Aluminum is one of thousands of quality tooling products available from MRO Tools. Please browse Helical Flexured U-Joints, Aluminum for tools similar to the Helical UJA100-45-12-12 Flexured U-Joint, Aluminum. 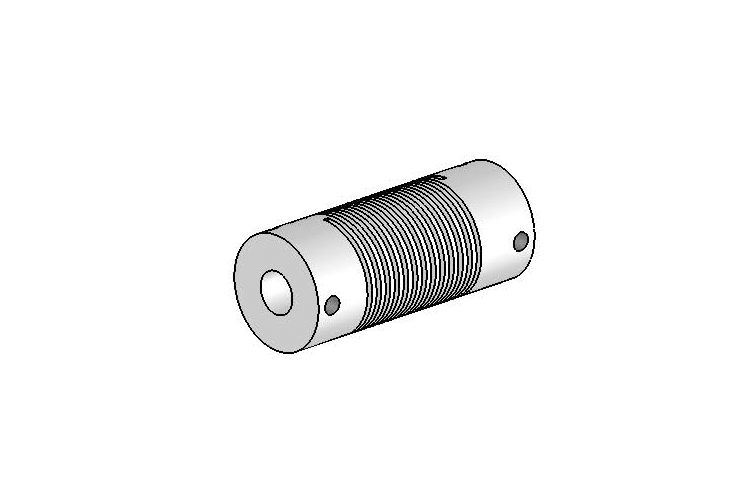 Helical UJA100-45-12-12 Flexured U-Joint, Aluminum description summary: Helical Flexured U-Joint, Aluminum. Bore Size A: .375in Bore Size B: .375in MAX Shaft Penetration A1 Type: 0.44 MAX Shaft Penetration A2 Type: 0.44 Momentary Dynamic Torque: 19 lb/in. Angular Misalignment: Up To 45 Degrees Quantity discounts may be available for the Helical UJA100-45-12-12 Flexured U-Joint, Aluminum. Please contact MRO Tools for details.